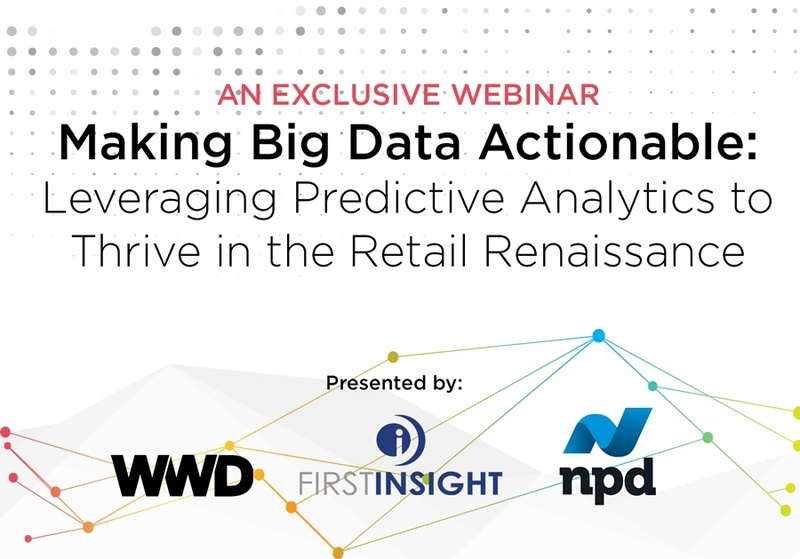 First Insight Founder and CEO, Greg Petro and Joanne Sackett, President of Beauty, Sports, Apparel, Footwear, Accessories & Luxury of NPD Group discuss how retailers are thriving in the Retail Renaissance by leveraging predictive data. Q: Retail has been constantly evolving for the past decade. What are some of the biggest opportunities for retailers and brands looking to leverage data to keep up with change? Q: Are there particular functions or segments within retail that are more ripe than others for this type of opportunity? Q: Where’s all this headed in the future? We talk about Big Data now, but won’t it be even bigger in the future? How will we all make sense of that? Want to learn more? Schedule a meeting with us to learn how First Insight can help your business optimize assortment mix decisions.